Just arrived at University of Melbourne? Feeling like the new kid on the block and not sure what to do? Get involved in some athletics. Follow these 3 steps and check the FAQ below for more. We’ll be at the Clubs, Societies and Sports Expo on O Week Thursday, (Thursday ,28th February in First Semester) from 11am to 3pm. We’re training Monday to Thursday and (Saturday mornings when we’re not competing) at the Rawlinson Track, our home base, with the MUAC Club Rooms next to it. Pop in anytime after 5:30pm to have a chat with us. Email us, tweet us, facebook us, instagram us. Come along to training, one of our competitions or social events. Squad training happens Monday to Thursday and Saturday mornings with varied training times and days, depending on which squad. Squad sessions are a great way to meet new people and maximise your potential. Find all the details for MUAC’s squads here. Email us if you’re not sure which squad to join. Come along to the track, have a chat to us and we’ll get you training. There’s a lot going on so pop on down to see what happens. Come on down and watch some competition at the Rawlinson. The biggest event of the year at the Rawlinson. Get on down for the competition and enjoy some food from Dos Diablos Mobile Cantina and a drink at the Bar on the Hill. Come along to an MUAC social function and meet us! Sponsored by The Clyde Hotel, we’ll be heading down to the pub regularly for dinner (great parma and steak deals!). We’re excited you’ve decided to join MUAC. What to do now? Membership and registration for MUAC are done online. Membership is open year round. If you’d like to join and compete straight away, head here. The membership year is from 1 April 2019 until 31 March 2020. Competition entry costs a little more and is great value for year round competition in all parts of the sport. 1. Do I have to pay straight away? No! Come along and have a chat to us, train with us for a few sessions. See if you like it. 2. Will I need a uniform? 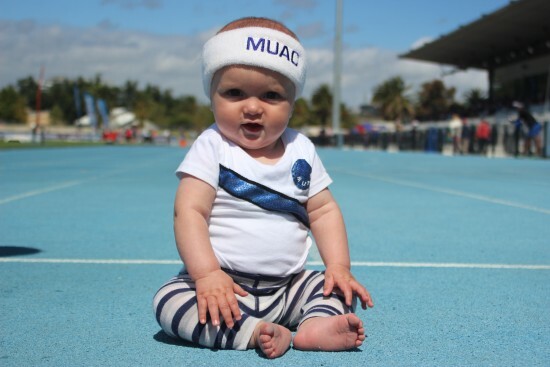 Yes, if you are competing for MUAC at Athletics Victoria competitions, a MUAC uniform is compulsory, but not for training. Details. 3. I’m worried I’m not fast enough. Are you all training for the Olympics? No! MUAC is for athletes of all standards. 4. Will MUAC membership get me free access to the MUS gym? You’ll be able to go to the gym, but you’ll still have to pay for each visit. Club members are able to buy a Club Fit Membership which gives you discounted access. 5. I’m already a member of another Athletics Victoria club. Do I need to be a member of MUAC to compete at University Games? No. The team is open to all students of University of Melbourne. Uni Games details. 6. I’m already a member of Athletics Victoria club. Should I join MUAC? 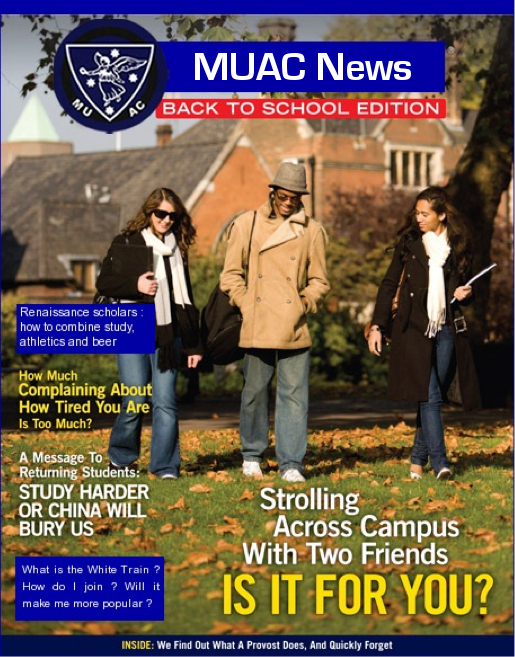 We encourage athletes to join MUAC for the duration of their study at University of Melbourne. The University Club experience is a unique one and we hope you’ll give it a go. Upon graduation, athletes often return to their childhood clubs. MUAC does not dictate who athletes are coached by or when or how they train, we’re happy for you to do what you want! 7. The information I seek isn’t on this page. There’s lots more detail to be found on our website. Have a browse around. If you still can’t find an suitable answer, please email us. 8. What’s this beer mile I hear about? 9. I heard Kris Lam once …?